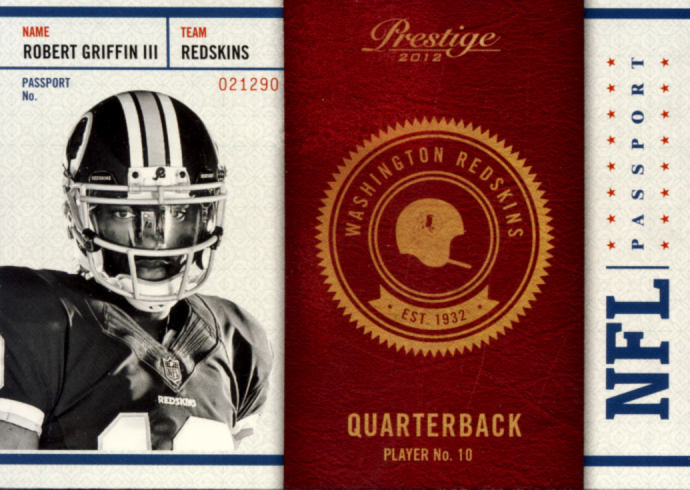 This year, Panini held back on releasing Prestige Football, making them the last company to release its first football product of the year. 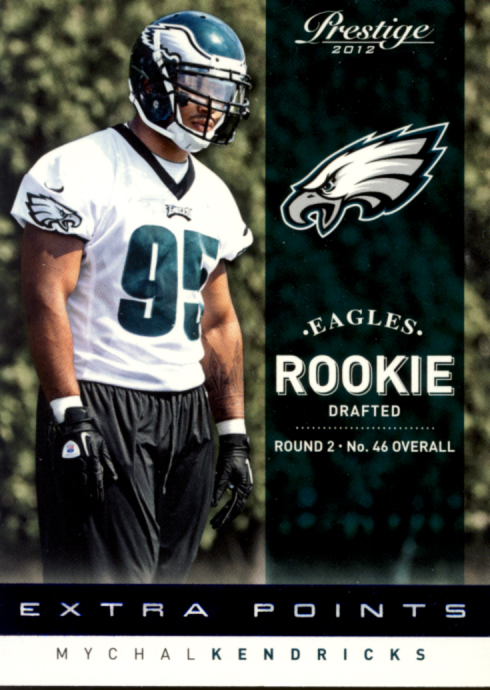 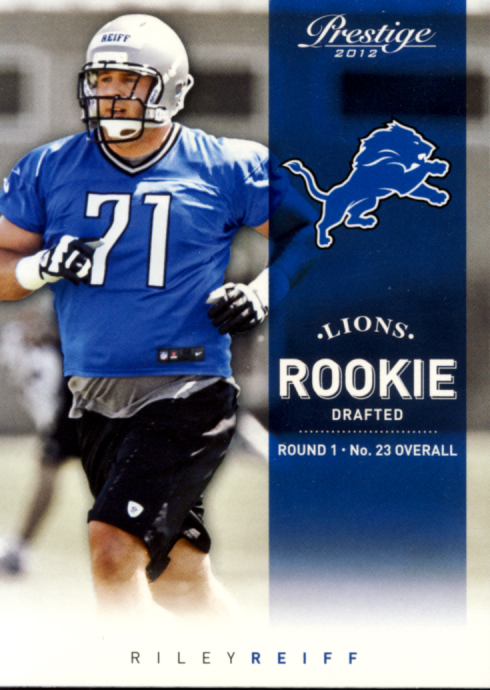 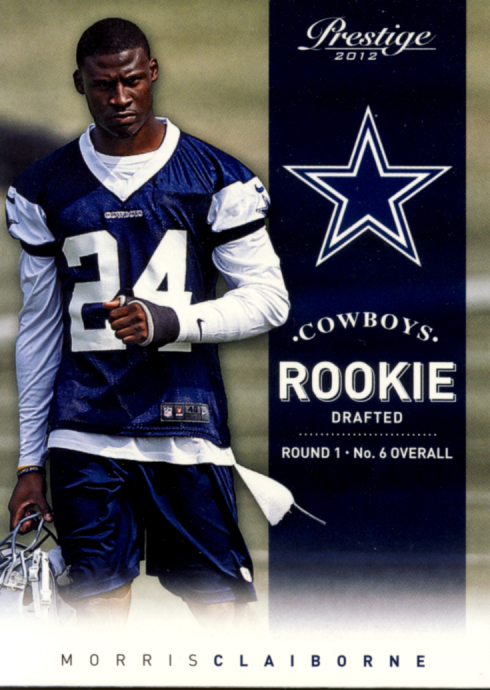 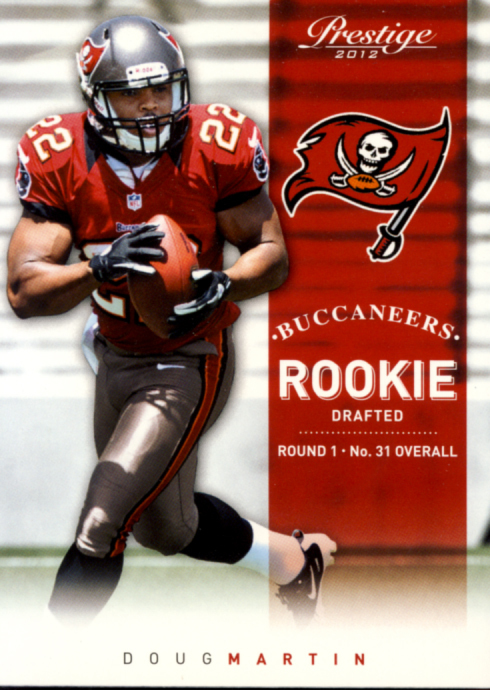 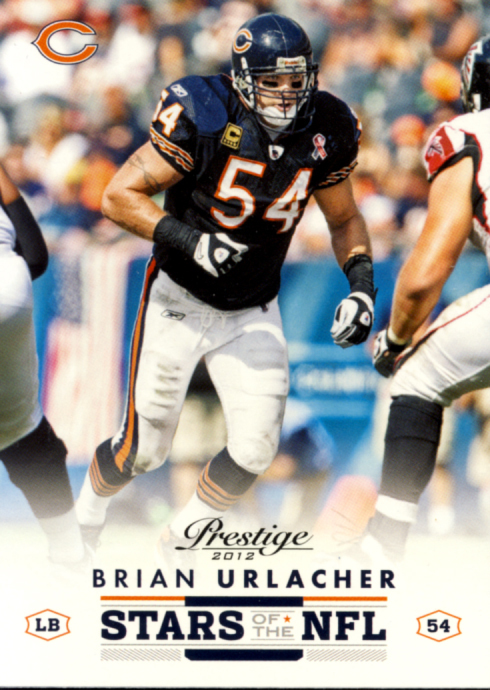 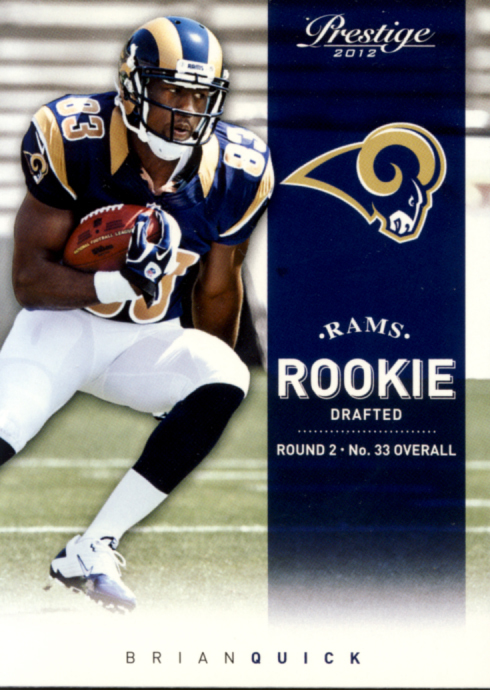 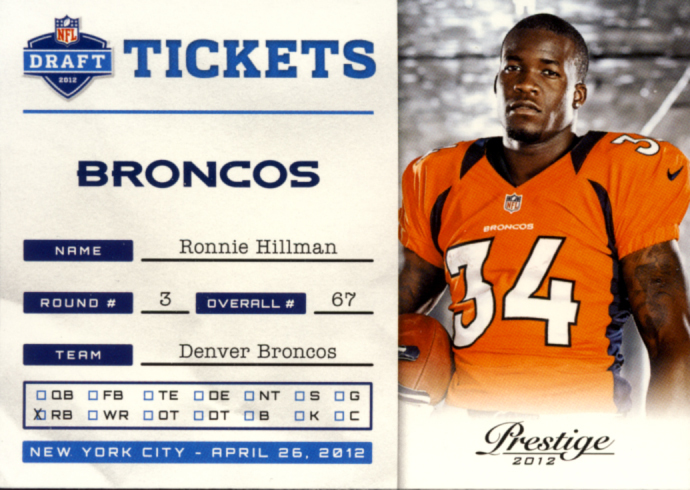 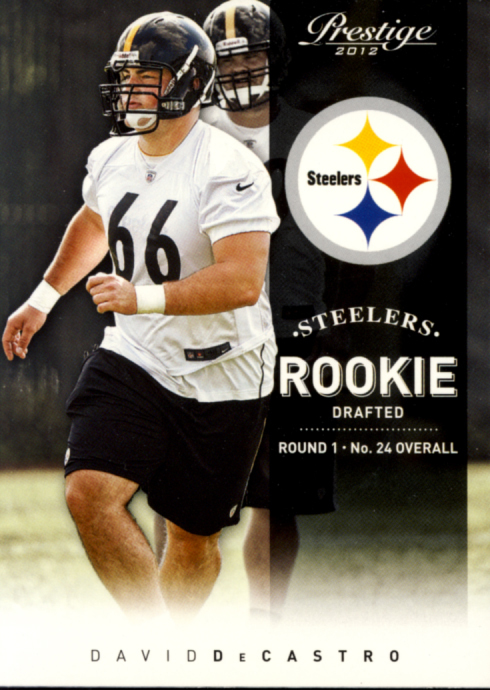 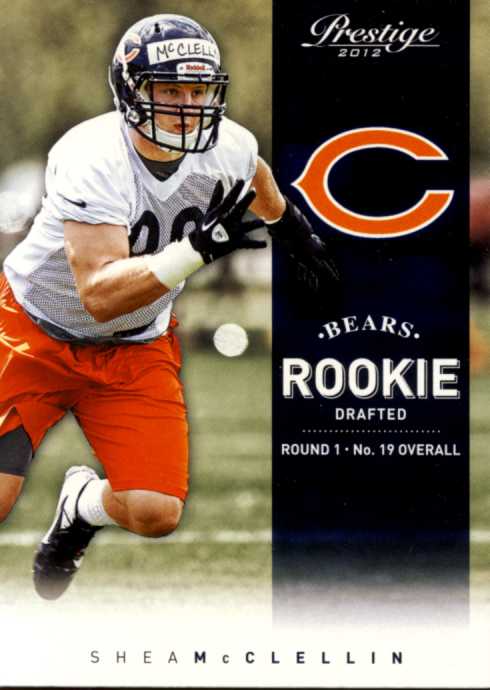 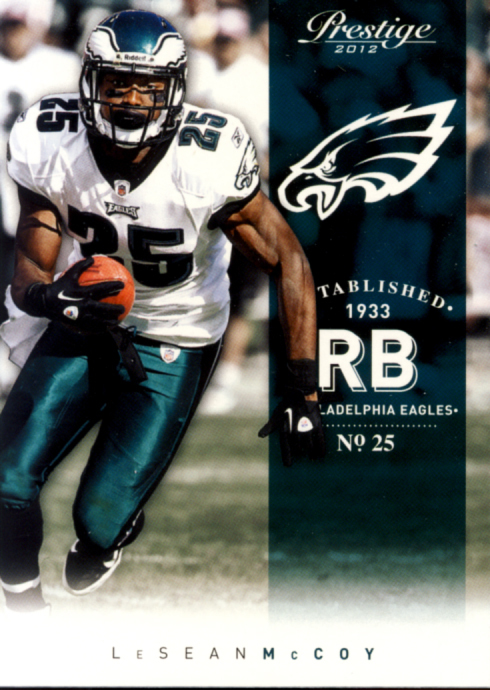 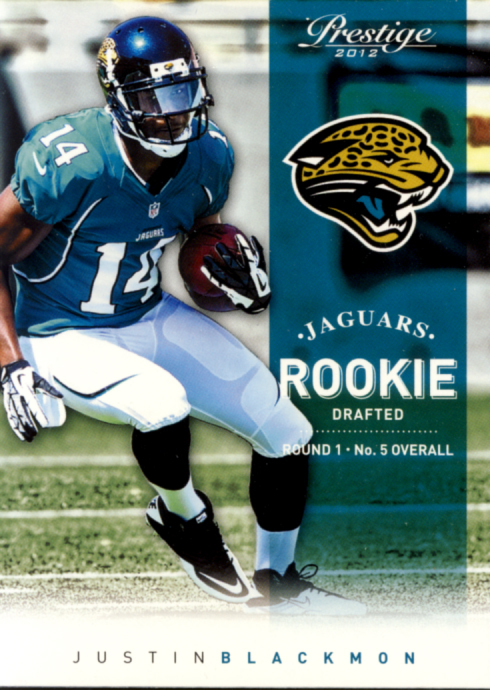 By doing so Panini proves the old adage, “Good things come to those who wait.” While Panini may have been the last to the table, the delay allowed Prestige to be the first release to feature rookie players in their team’s uniforms, from the Rookie Premiere and team practice sessions, which makes great use of their NFL license. 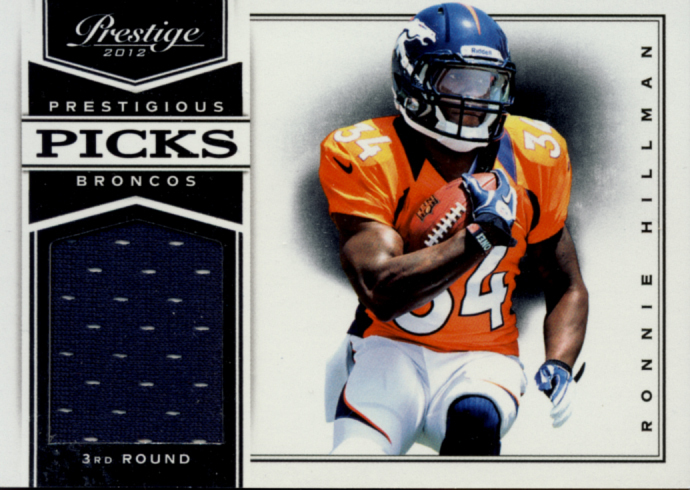 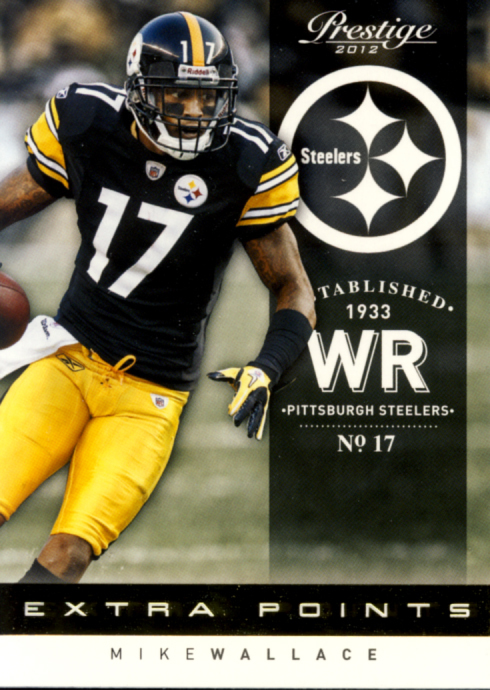 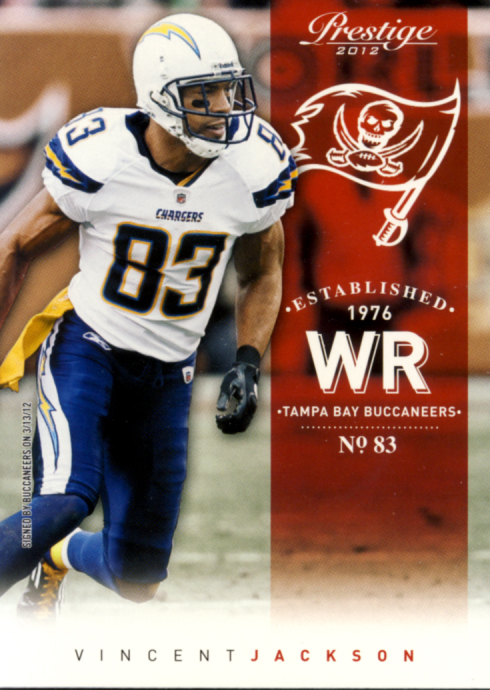 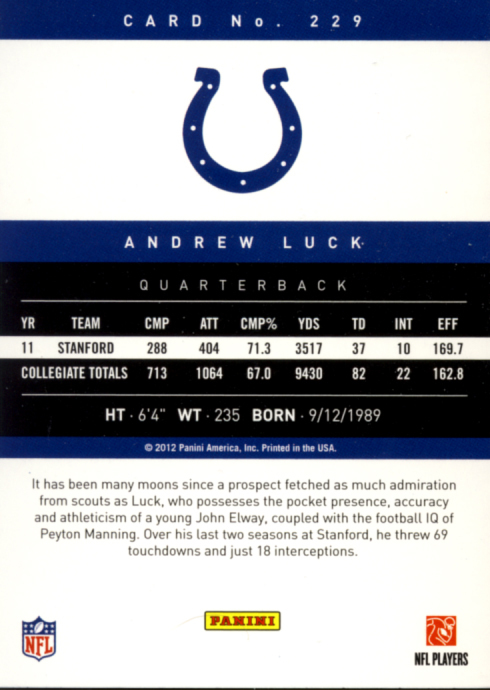 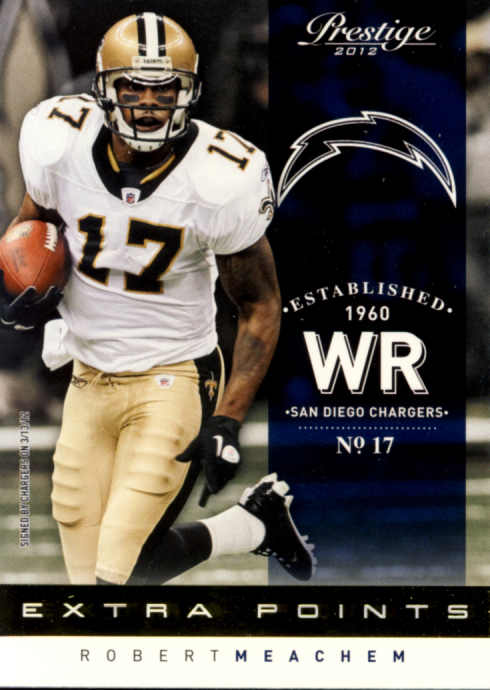 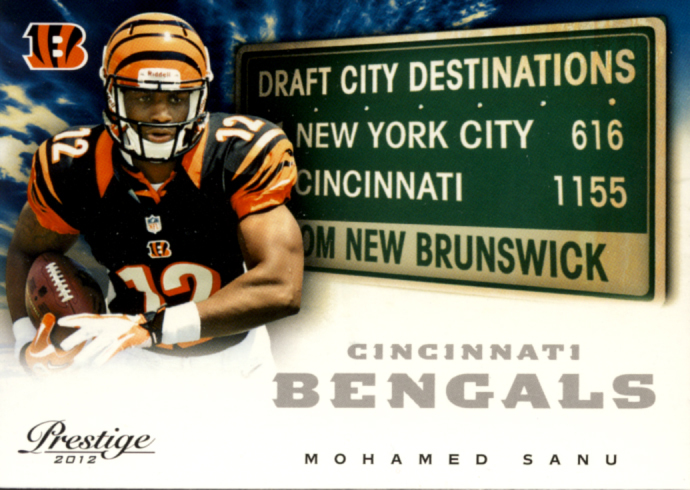 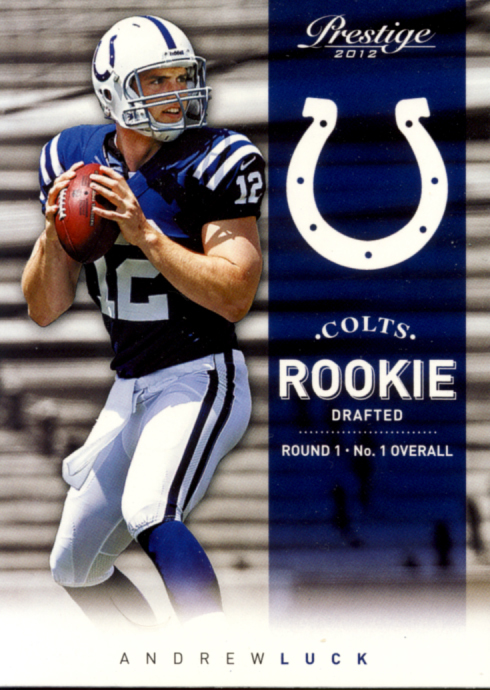 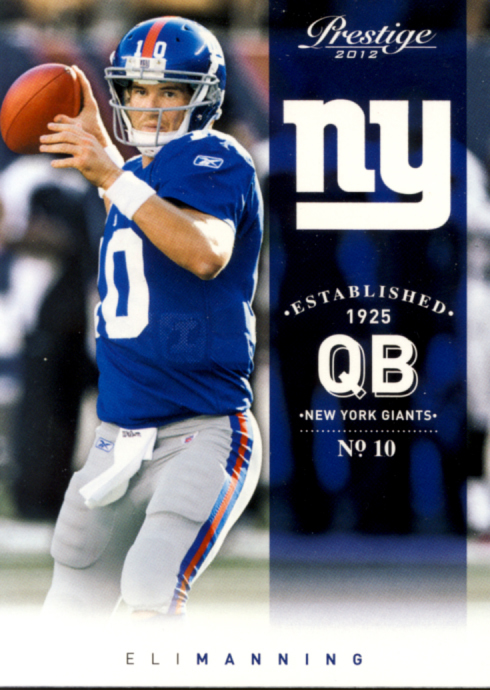 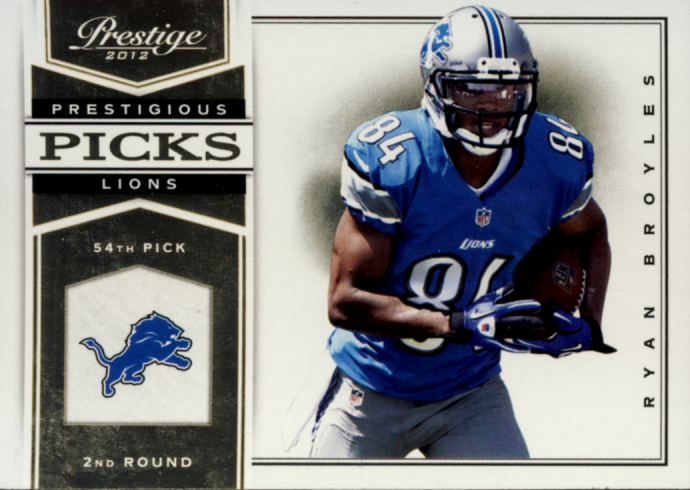 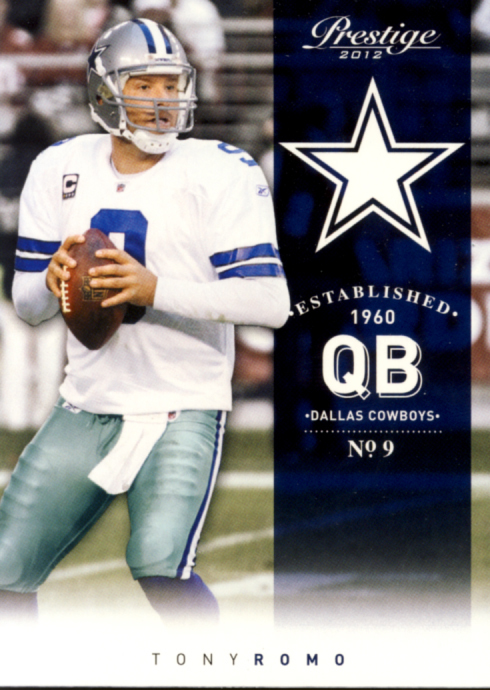 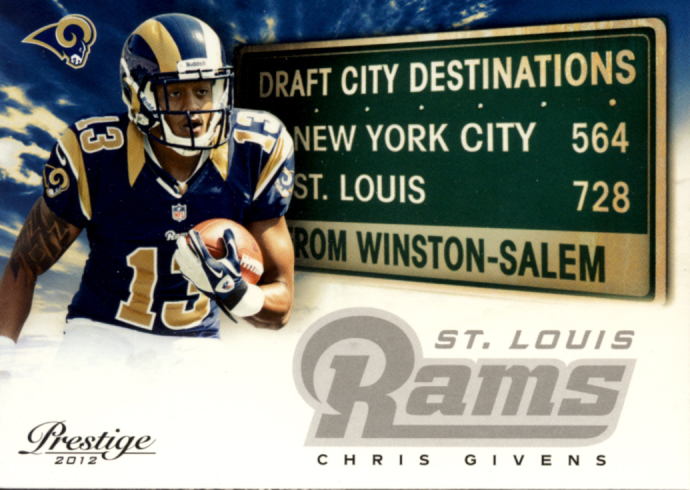 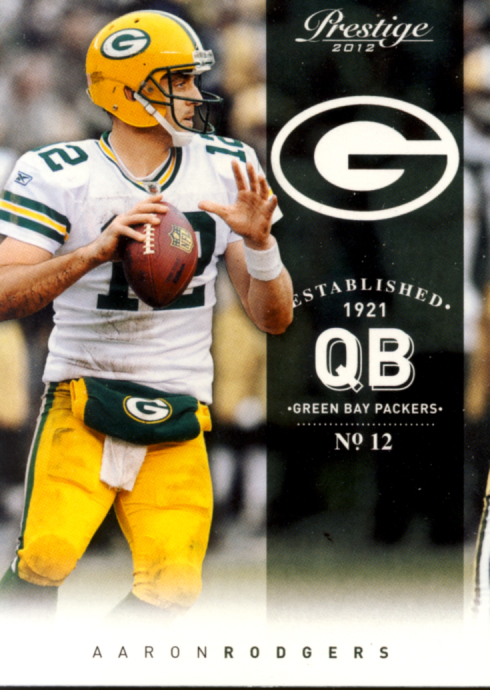 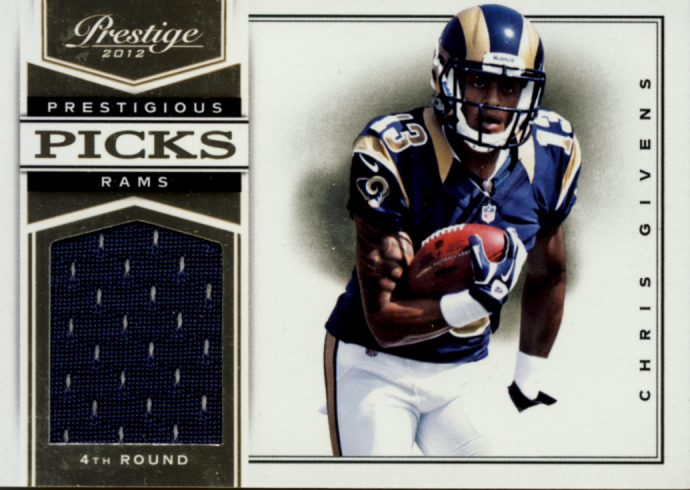 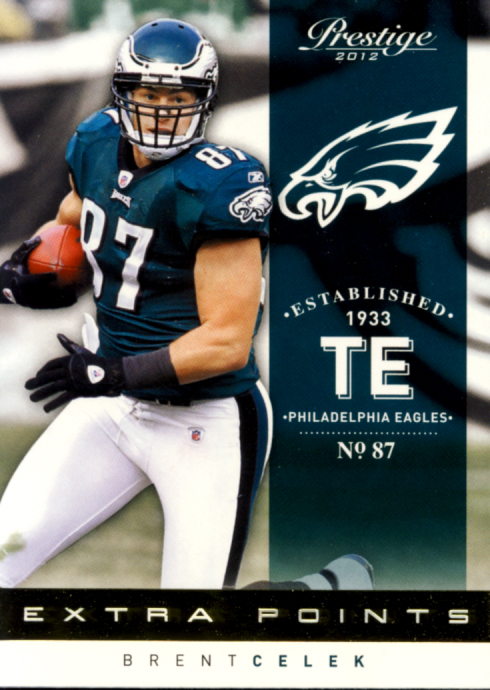 For the purposes of review, we classify Prestige Football as trading cards. 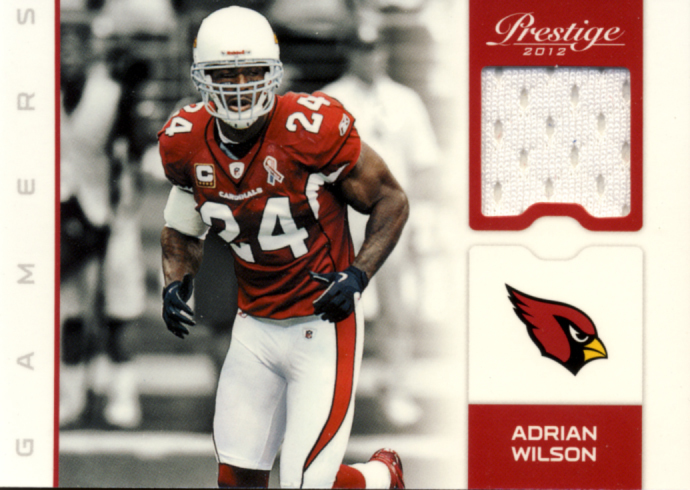 You can find Prestige in a wide variety of configurations in both retail and hobby. 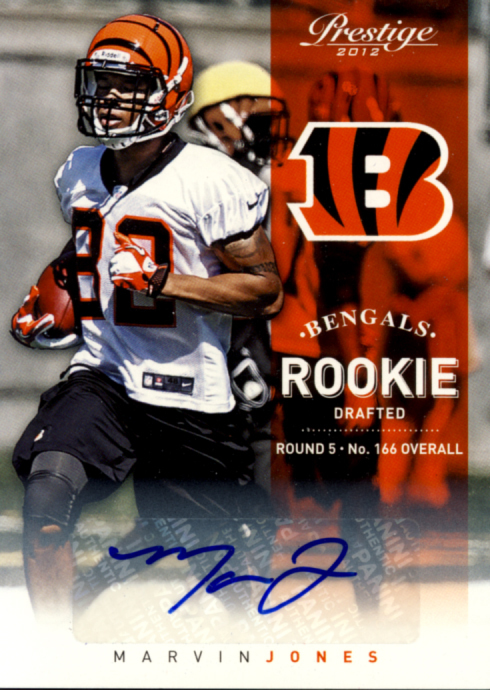 We opened a hobby box, which contains 24 – 8 card packs with a promise of 4 autograph and/or memorabilia cards per box, with a guarantee of at least two autographs. 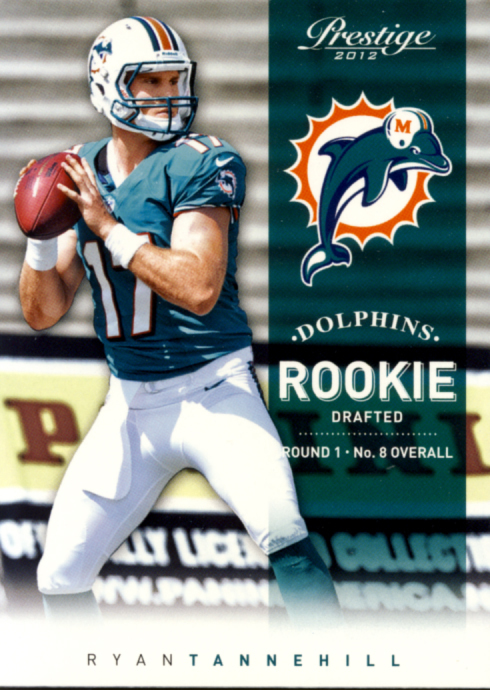 I wanted to highlight these next cards, also in the base set. 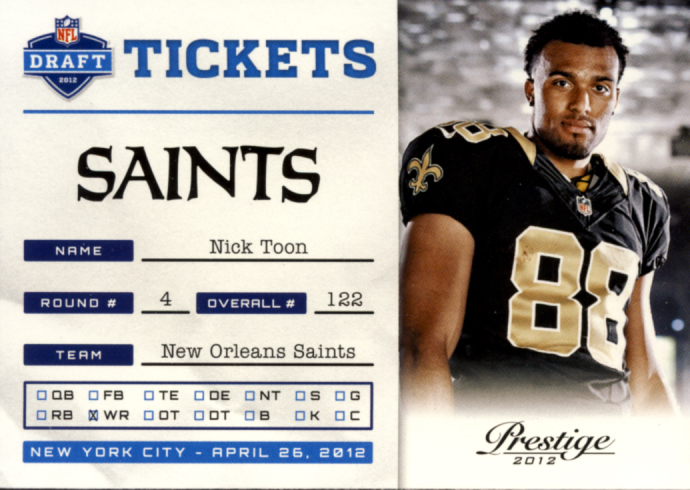 These cards of players that will be joining new teams this year. 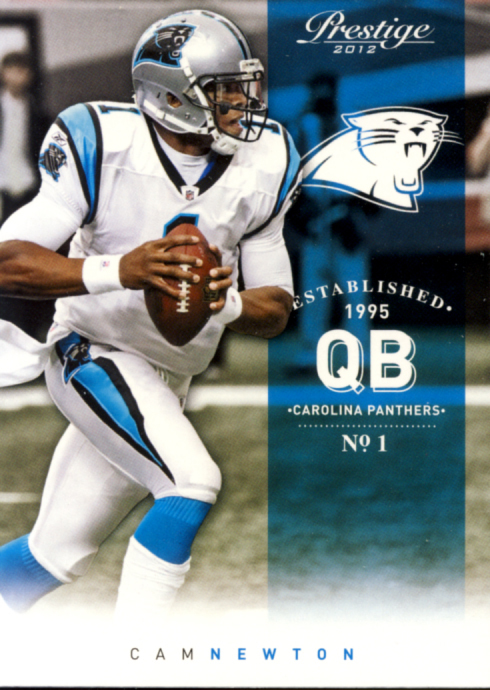 This might not hold true for you, but I appreciate that Panini DID NOT try to Photoshop these. 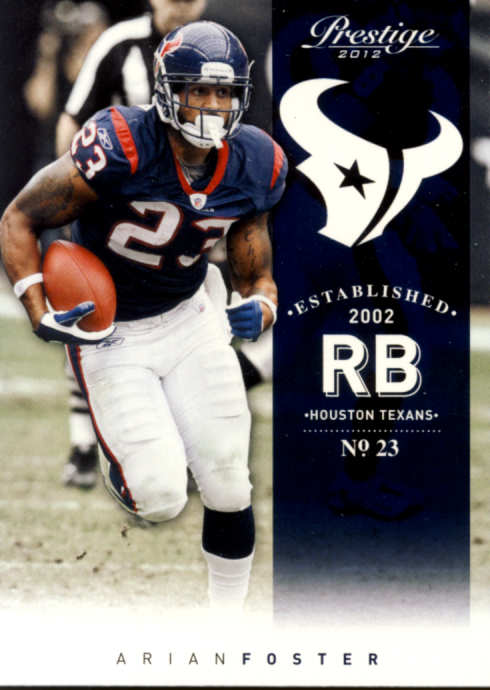 Not only does it look better to have these players in their prior team’s uniforms, it provides a record of their transition from team to team. 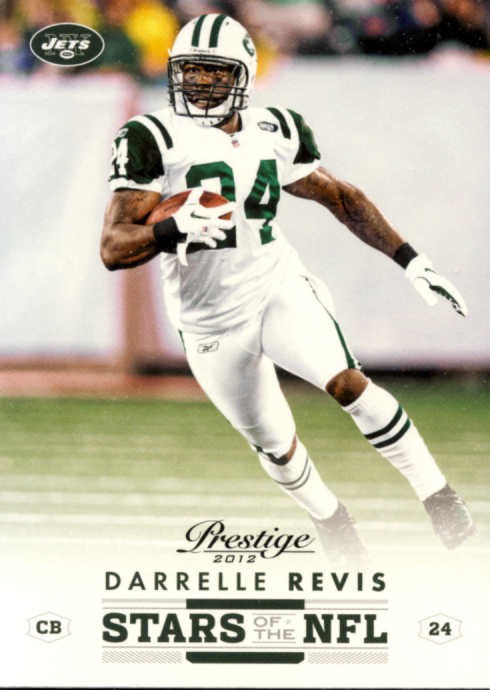 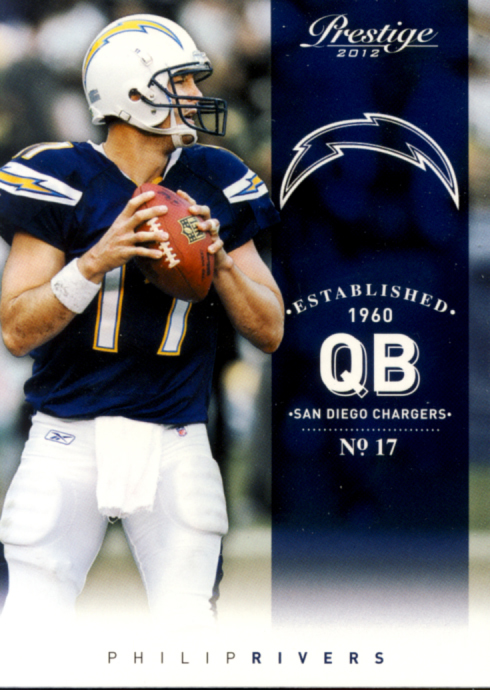 For future releases I would like to see them in their new uniforms, but for a pre-season release, without in action photos available, this is the way to go. 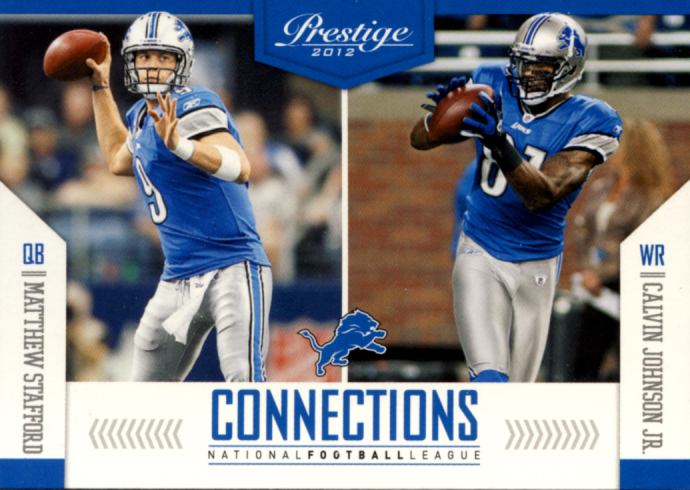 Detroit Lions - Matthew Stafford & Calvin Johnson Jr. 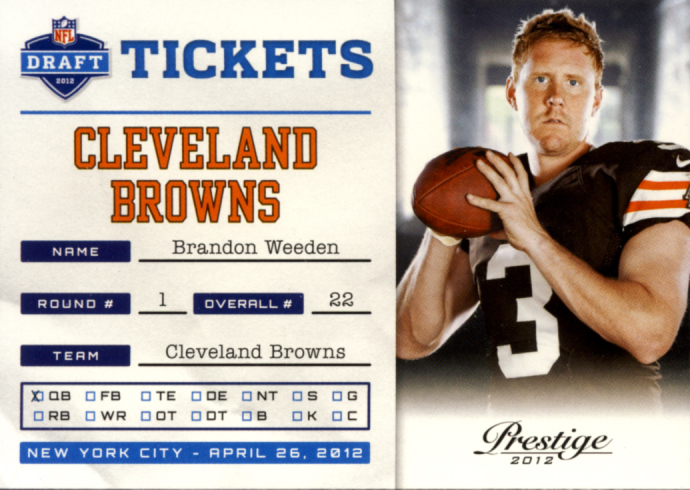 In years past, Prestige featured a simple design. 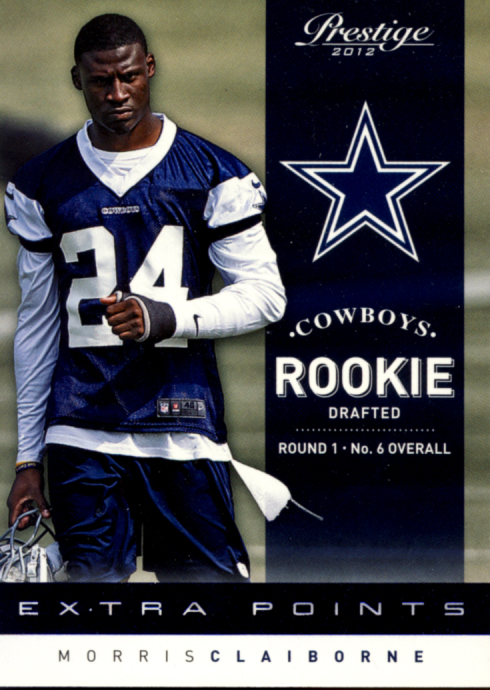 This year the look has been upgraded. 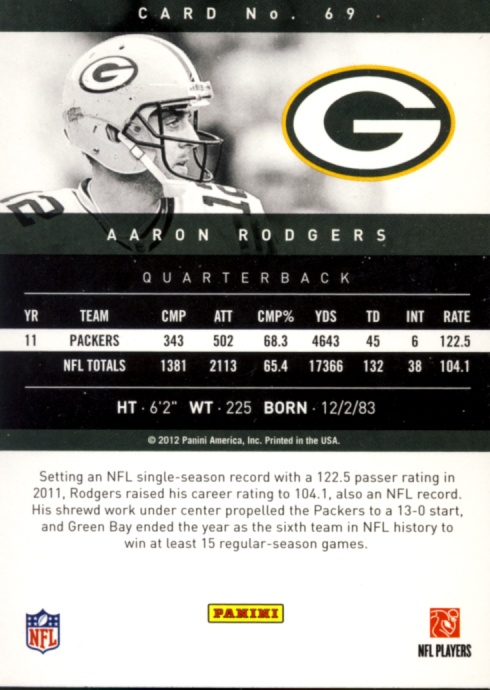 The fronts of the cards almost have a Contenders feel, which is a great improvement, while the backs of the cards still retain that simple design, which is fine because it keeps the stats and info clean and appealing to the eye. 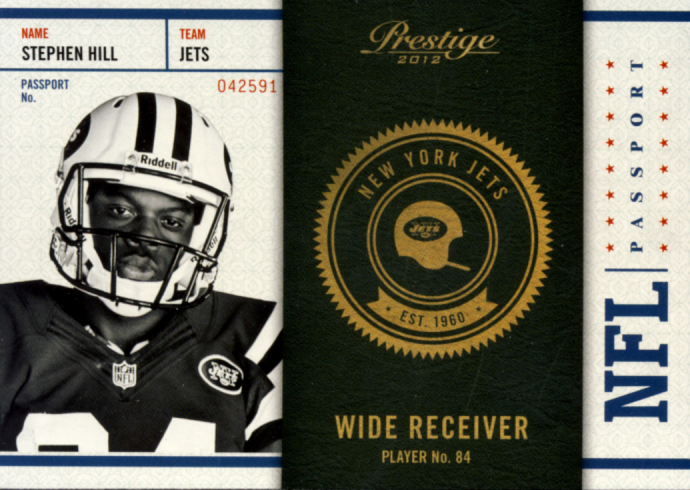 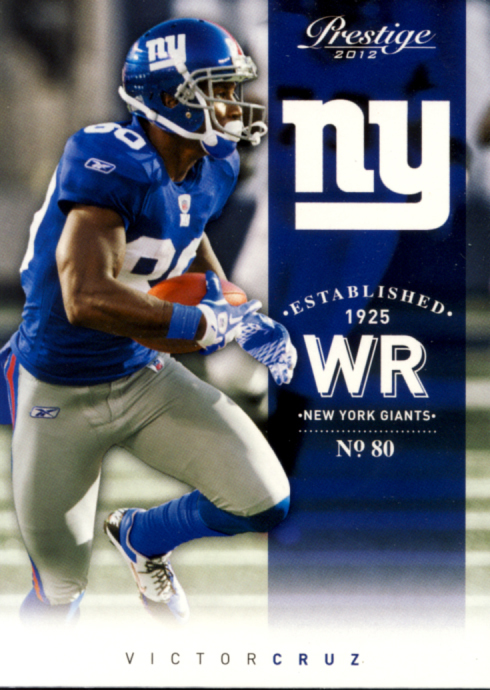 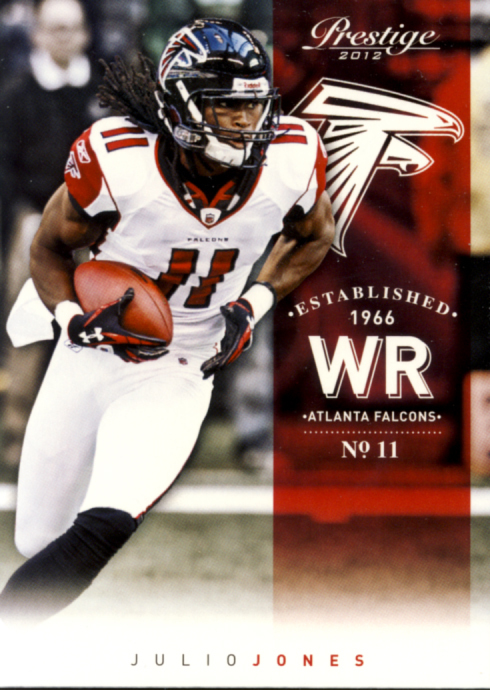 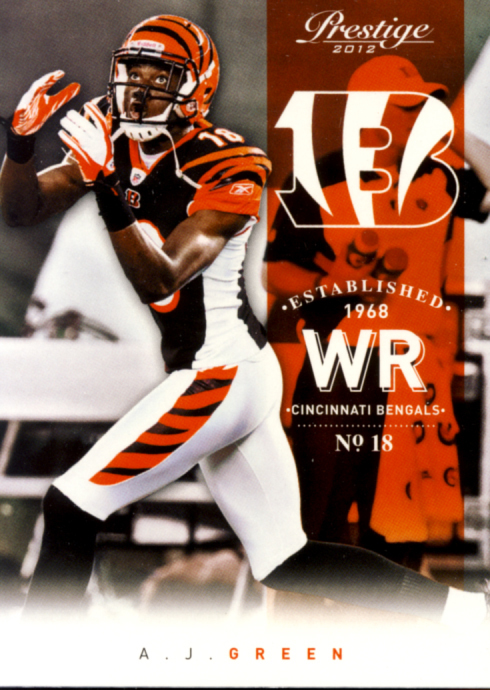 The inserts are very well designed this year too, with the exception of the NFL Passport inserts that look like they were backwards built to accept memorabilia swatches but, oddly, were not. 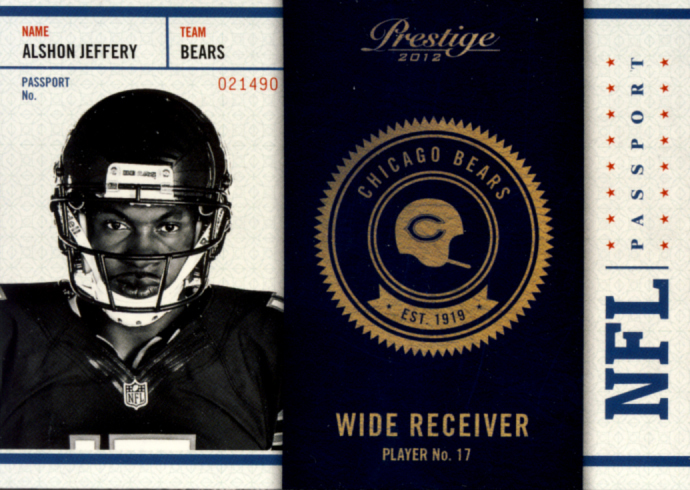 The backs of these cards are better looking than the fronts. 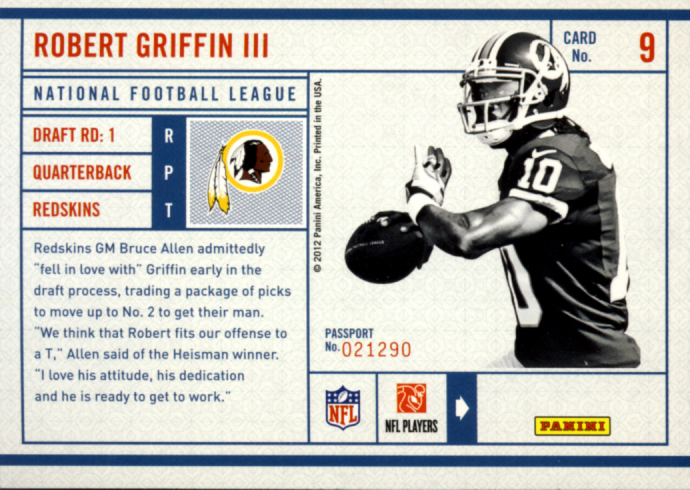 There are only autograph hits for the NFL Passport line. 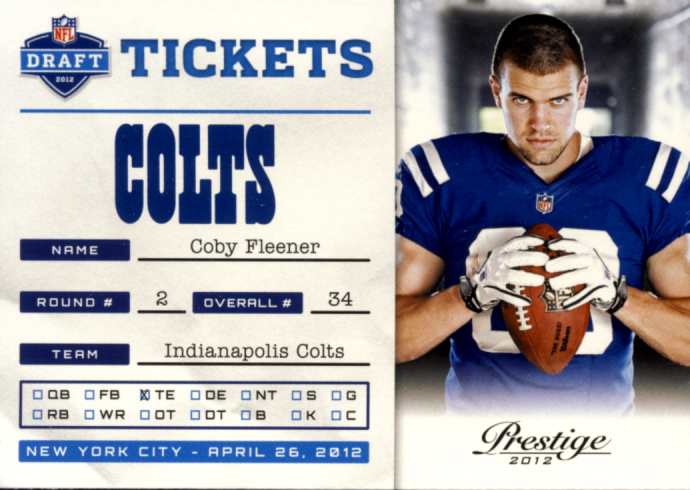 They are a total redesign and they look fantastic. 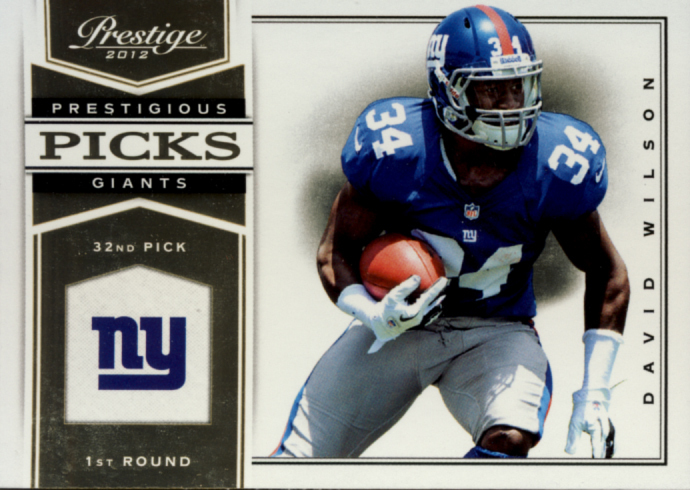 Another oddity, the inserts that were built backwards, the Prestigious Picks, I like. 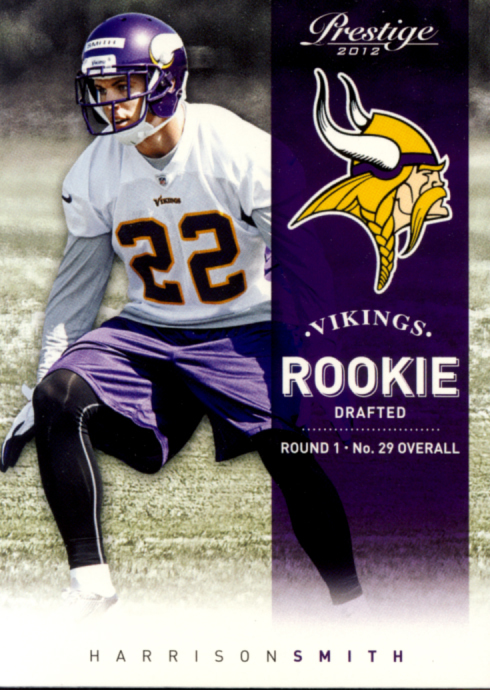 200 Base and 100 Rookies is a nice number for an early release. 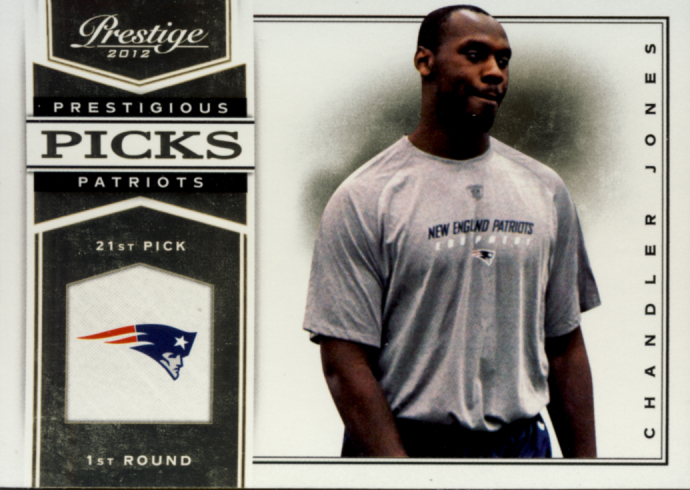 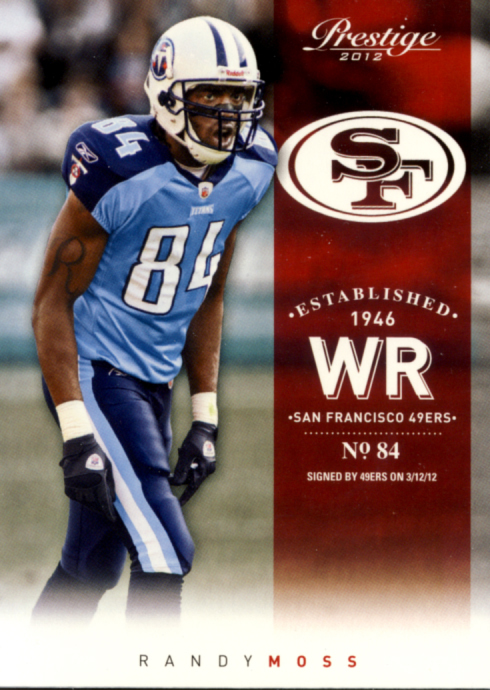 No need to look for retired stars, unless you are looking for Randy Moss. 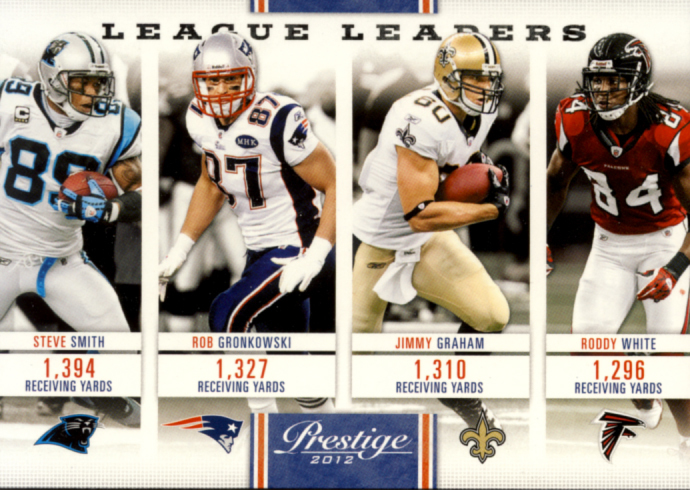 Prestige is all about current players and incoming rookies. 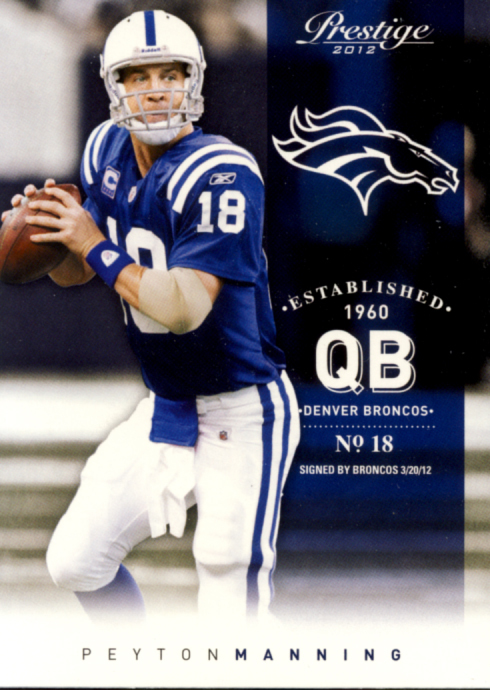 Tebow fans will appreciate a 14 cards plus 1 auto card set devoted to him. 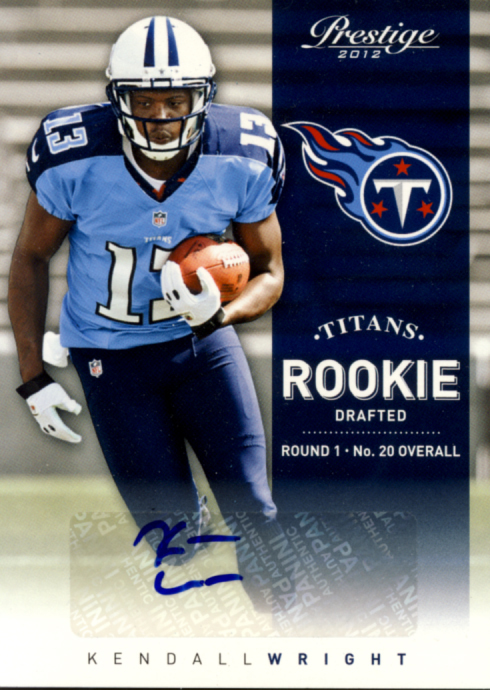 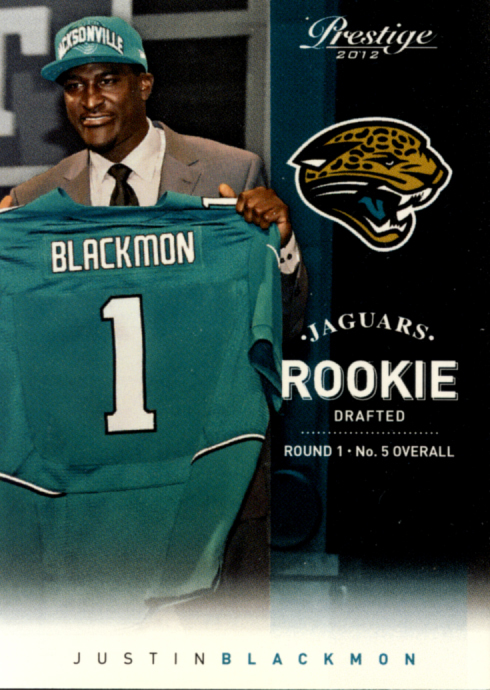 There are some nice autographs to pull from this product, with the concentration of hits from the 36 players who attended this year’s Rookie Premiere, but you will also be able to find hits that feature the current stars of the NFL. 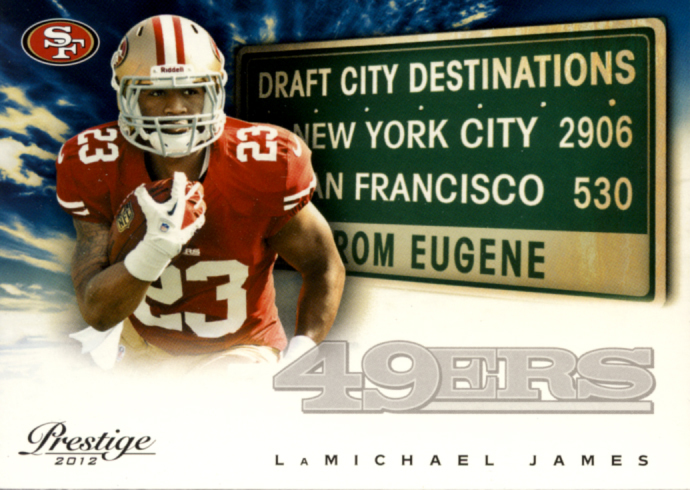 There is a wide variety of insert sets creating different levels for set builders to complete, depending on the kind of challenge they want to take on, which is a good thing. 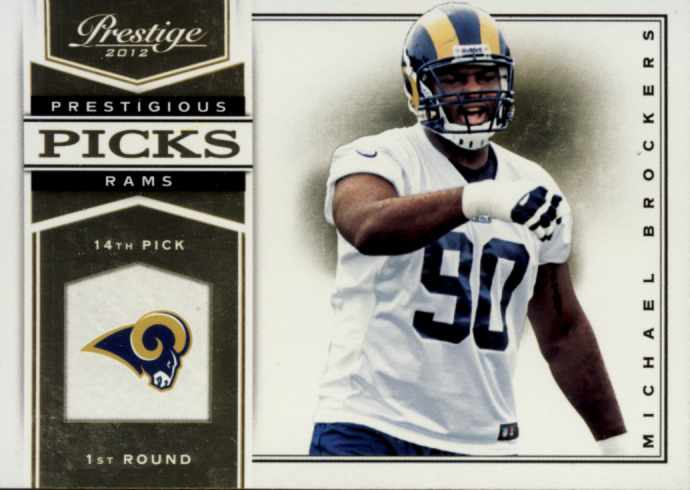 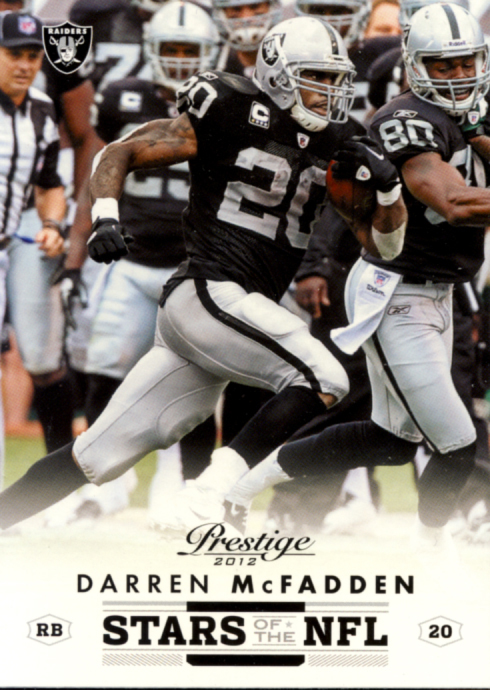 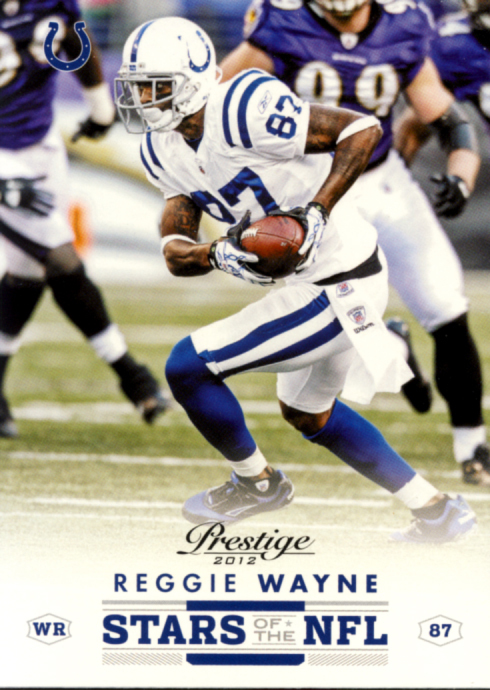 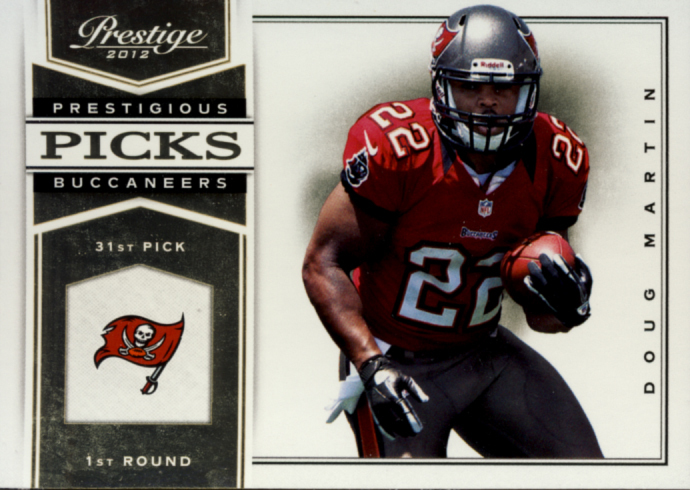 With its new look, 2012 Panini Prestige Football becomes one of the best early releases for set builders to start collecting.